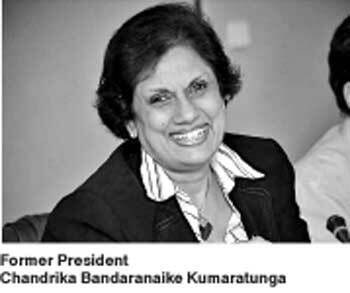 Former President Chandrika Bandaranaike Kumaratunga in her Independence Day message has called on all communities to unite in moving forward as a nation. For over 2500 years, Sri Lankans have consistently appreciated the freedom, sovereignty, and independence built upon cherishing our diversity. As we proudly celebrate 70 years since Independence, our priority remains in moving forward as a nation together with all ethnic communities. A vast majority of Sri Lankans are ready to embrace ethnic, religious, cultural and political diversity of our nation. The main challenge we face today is to be committed in leading our motherland towards sustainable, inclusive development nourished by our diversity. As Sinhalese, Tamils, Muslims, Burghers got together 70 years ago to struggle for freedom from the colonial powers, the time has come for us to be united even more in building a nation which upholds justice, freedom and fairness, with respect for diversity, through a constitution which guarantees full rights to all ethnicities. It is important for all of us to acknowledge the efforts made by the present Government in creating a society with equal rights to all citizens, compared to the previous undemocratic regime which showed scant consideration for human rights, freedoms, equality or the democratic rights of the people. As we celebrate our 70th anniversary of Independence under the theme “One Nation”, I urge all citizens to come together in building a united and prosperous nation.